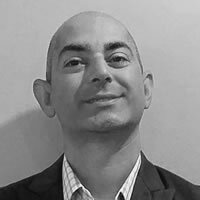 Sulaiman Hamidi is Director of Sustainability and Product Stewardship for Allergan, a global $23 billion diversified global pharmaceutical company and a leader in a new industry model - Growth Pharma. In this role, he is responsible for development, and implementation of company-wide sustainability programs including sustainability metrics, engagement with internal and external stakeholders on sustainability initiatives, and sustainability reporting. Sulaiman also works in close partnership with R&D, Sales, and Manufacturing functions to assess the EHS impact of products. Prior to joining Allergan, Mr. Hamidi was responsible for managing EHS programs at the facility, regional, and corporate levels for Baxter Healthcare and Watson Pharmaceuticals. Sulaiman has a Bachelor of Science degree in Biological Sciences, has completed graduate studies in Environmental, and Occupational Health, and is a Certified Safety Professional (CSP) and Certified Hazardous Materials Manager (CHMM) with over 20 years of experience managing Sustainability, Risk Management, and EHS programs.